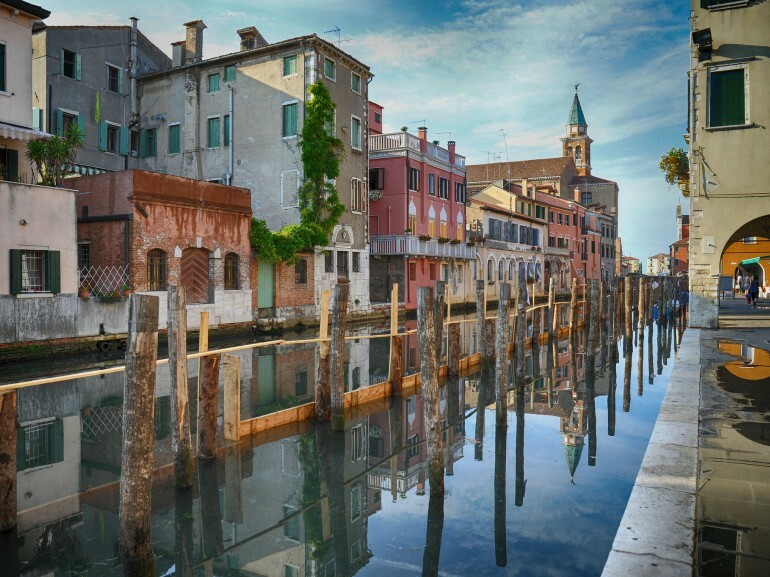 Our starting point is the city of Chioggia, renamed Little Venice. It lives of its bridges and its canals too, but has an antique and authentic soul; it still carries the charm of a fishing village. 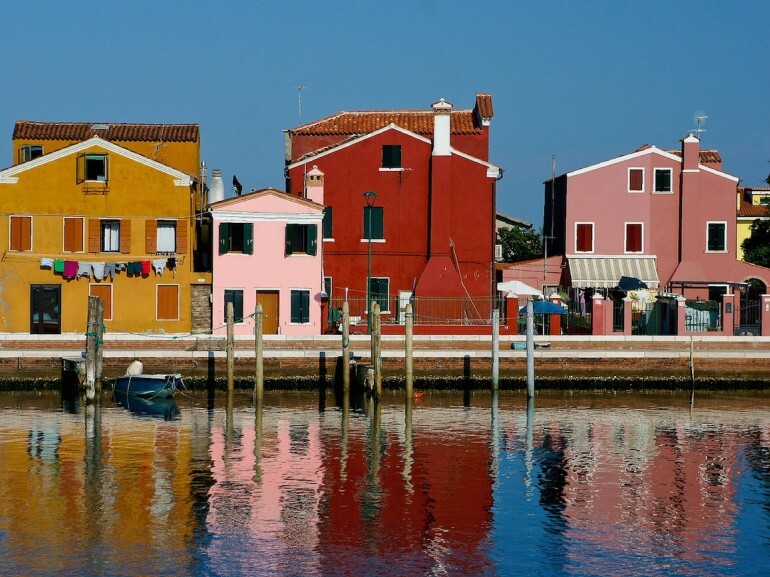 The city is colored by fishing boats and it develops around the main street, called Corso del Popolo. Biking through the inner city is very suggestive and is one of the ideal ways to enjoy the surprises that the village holds. From here we get on the ferry that will take us to the island of Pellestrina. Here we admire the beautiful villages of Pellestrina and then Portosecco. In some corners, the time seems to stand still, and it is not unusual to meet ladies who work bobbin lace on the street. We bike on until we arrive at Santa Maria del Mare, where there’s the harbor of S. Pietro in Volta where we get again on a ferry; our destination: the Lido di Venezia. Upon arrival, we’re met by the natural oasis of the dunes of Alberoni. The area is protected by the WWF since 1997 and has a particular ecosystem of great interest. The next stop is the small center of Malamocco, fairytale-like old corner of the lagoon. We continue biking along the Murazzi, the barrier system designed for heavy seas, and in short we arrive at the Marconi promenade. 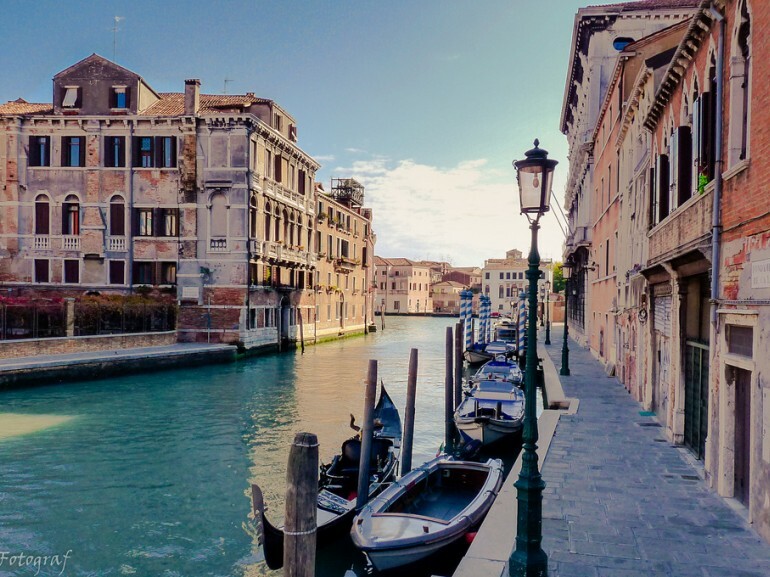 Here, the sea is overlooked by some important buildings such as the Grand Hotel Excelsior, the Venice Casino and the Palace of the Venice Film Festival. While you enjoy the sight of the coast, we suggest you to visit the ancient and suggestive Jewish Cemetery, one of the oldest in Europe. At last, near the church of St. Nicholas there’s the harbor from where we take the boat to Venice. Here we are at our destination! There’s nothing left to do but visit the city and fall in love with it at every corner. 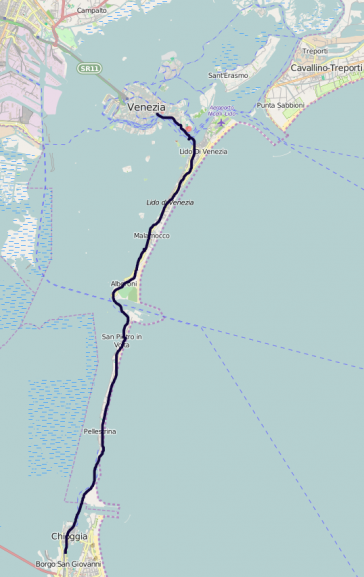 At this link you will find more information about the connection by boat from Chioggia Submarine to Pellestrina. Here you can find more information about the boat ride from Chioggia Submarine to Pellestrina and Lido of Venice. Both ferry routes allow you to transport bicycles on board and require an early booking of your trip at the Raffaello Navigazione agency. The departure of the boat is on the Union Island (the small island connecting Chioggia to Sottomarina), and the boarding is right in front of the large parking lot of the Union Island.